JAZZ.FM91’s World Music Festival takes over the Hugh’s Room stage for this 5-night concert event! Showcasing diverse music from across the globe, audiences will have an opportunity to experience the sounds & rhythms from an eclectic mix of international and local artists. Featured Artists: Tuesday August 5th, 1st Stop: Niger Republic. Featuring: Abdoulaye Alhassane Touré; Wednesday August 6th, 2nd Stop: Turkey. Featuring: Minor Empire; Thursday August 7th, 3rd Stop: South Africa. Featuring: Lorraine Klaasen: Tribute to Miriam Makeba; Friday August 8th, 4th Stop: Eastern Europe. Featuring: Nomadica; Saturday August 9th, 5th Stop: Cuba. Featuring: The López-Nussa Trio. The STJF provides a starting point for both artists and listeners. The district of Scarborough is a vibrant, multi-cultural community where the wide diversity of cultures, with their different types of music and instruments, has resulted in the emergence of new combinations. STJF aims to reflect this mixture during the festival for all to enjoy; four-day Scarborough fest is also a chance for local musicians to take the stage. Featured Artists: Hilario Durán Trio, Liberty Silver, Caribbean Jazz Connection, Blackburn, Rumberos Squad, Micheal Shand, Jorge Luis “Papiosco” & Iroko Project, Jerome Tucker, The Nomads, Kalabash, Luna Manzanares y Alejandro Falcon, Quincy Bullen & The Mickeys, Yoser Rodriguez, aQwa, Waleed Kush African Jazz Ensemble, Colleen Allen Quartet, Lazaro & Lazarito Valdés Project, Pablo Terry and Sol de Cuba, Loius Simao, Coldjack. Presenting their 22nd edition on August 8th and 9th! Showcasing some of the finest artists and legends from all the roots and branches of Jazz including, Acid, Latin, Dixeland, Smooth, World Music, Ragtime, Swing, Blues, Fusion and much more. Featured Artists: Mitch Frohman Latin Jazz Quartet, Dr. Lonnie Smith Trio, Manteca, The Hogtown Syncopators, Merriam Music All Stars, The Soul Motivators, Ruthie Foster, Ginger St. James & The Grinders, Autorickshaw, Alysha Brilla, Rob Reed Trio & Melissa Bel, Frank Horvat Band, Gone Fission, Griffith Hiltz Trio, Hailee Rose, Subourbon Street. Free Festival Co-produced by Southern Mirrors and Puente. Explore South America’s biggest country over a mammoth three-day festival featuring a kaleidoscope of arts, cultural and culinary events. Showcasing local and International Brazilian artists. Featured Artists: Tio Chorinho, Kay Lyra, Flávia Nascimento, Toronto Humber College’s Brazilian Jazz Ensemble, Aruandê Capoeira, Brazil Connection, Brazil Delight: Marisa de Oliveira and Valter Barberini,Olmir Stocker, Marivaldo dos Santos, Rubens Salles, Luciano Porto’s Zé Fuá Forró Band, Que e Isso?, Ana Aune, Henrique Cazes. 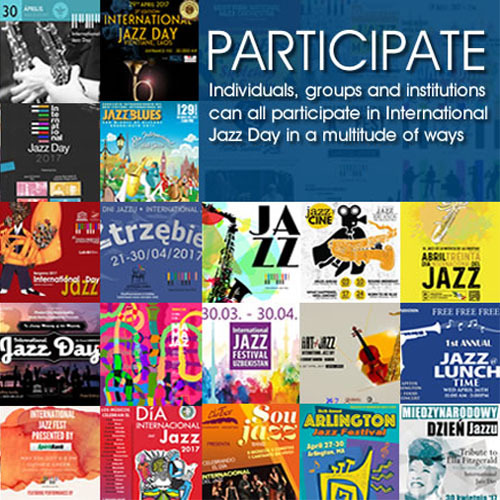 Since 1997, the Markham Jazz Festival has presented diverse and eclectic jazz performers – performers who are not only drawn from the cream of the crop of Canadian jazz artists, but who also come from a wide variety of other countries, including the U.S.A. and Cuba. The Festival’s repertoire spans a variety of genres, including traditional, swing, Latin, fusion, world, Dixieland, and contemporary jazz. Featured Artists: Jane Bunnett and Maqueque, Bruce Cockburn, Jackie Richardson, Craig Handy, Steve Strongman, Jenny Sheinman, Organic, Mark McLean, Michael Dunston, Avataar, Petr Cancurra Quintet, Myriad 3, Don Francks & Tony Quarrington, Alexander Brown, Melissa Lauren, Terry Clark Quartet, Dave Stryker Organ Trio, The Mike Downes Parallel Streams Ensemble, Henrique Cazes and Canadioca, Green Sky Project, Donné Roberts, Barbra Lica, The Carn Davidson 9, Mike Rud and Sienna Dahlen.